Yeesh! Is it hard to be a parent! With our tweens or teens, the challenges loom large. The choices our kids make at these ages have a much stronger impact. They now have social and academic implications and even perhaps legal ones! Once our kids go down the wrong direction, we’re suddenly leaping to either over-protect or we’re coming down harshly on them. Over-protecting. Over-indulging. Over-coddling. When does a parent go too far in this direction? Perhaps the key to discovering this one is to know who is being impacted – the parent – or the teen. What I mean by that is – if you as the parent are suffering more internally than your teen, perhaps you might check out what is going on with you. So, when your student is suddenly failing Pre-AP Geometry, and you’re tempted to go up and have a “meaningful discussion” with the teacher…. you may be moving in the direction of over-protecting. Not making the varsity team, not getting in the right prom group, not getting into the favorite college, and so on – if you have a strong desire and inclination to solve the problem for your teen – you may be over-protecting. When we over-protect and take charge, we are stealing from our children. We are stealing from them the ability to learn how to stand on their own two feet. We are stealing from them the challenge of learning how to fall, to get back up, dust themselves off and keep going. And finally, we’re stealing from them growth in confidence, self-esteem, and discovery of new abilities. And the consequences for the parent? We have a phenomenon that has now gained ground in our culture – parents taking care of their twenty-agers, and thirty-agers. We have parents who are now raising their children’s children because they cannot take care of them. So, what’s a parent to do? I don’t think the other extreme of being harsh and punitive or resorting to screaming and yelling is any help to our teen. That’s not going to help anyone, perhaps especially the teen or tween. Let me give you the secret – help them to use their own resources. Teenagers’ brains are in cognitive development, and they have a wonderful resource that is growing and will keep growing until they are 25 years old. Help. Your. Teen. To. Think. I know, I know, easier said than done. But this is the direction to move in to really help. Let me give you a personal example. When my daughter was in middle school, she had a huge social problem erupt. We as parents felt distressed and began working with her. Our own emotions were raw and throttling our desire to protect our daughter from a difficult social situation. But we were guided by our daughter. She told us in no uncertain terms that she needed to walk into those middle school doors and work on handling the situation, not run from it. Guess what – she was right. She walked in those doors, dealt with those difficult middle school girl relationships, and she prevailed. She befriended those she had a falling out with, and she ended up in high school with strong relationships, which have moved on into good adult relationships to this day. We were wrong, as parents, to want to swoop in and remove her. She was right and gained new social skills, even deepening relationships because of the challenge. 1.) Ask yourself, who has the problem? If it’s your teens or tweens, then they need to solve it. 2.) Encourage problem solving. 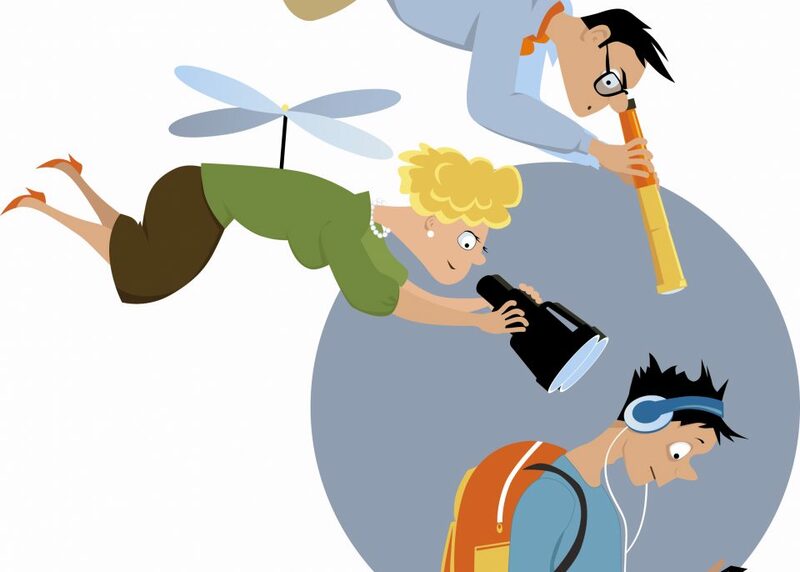 Help teens to realize that they have an exciting resource, their own problem solving brain. And focus on the reality that problems can be solved; we are not stuck. It may take some time, but the problem can be taken care of. 3.) Get advice. Get the teen or tween in front of that person. It could be a friend, someone from a religious group, even a professional counselor. 4.) Find resources to help. Help your teens to realize this important lesson – that resources are available – and they need to find them. 5.) Be careful when there are legal issues. Perhaps there is a need for a juvenile attorney, but sometimes when the issues are smaller, they may need to be in front of a judge and understand the consequences in the world at large. 6.) Finally, trust your teens. Trust that they have problem solving abilities. Give them that kind of trust, then help them to solve the issue. This will be a gift that will last a lifetime and on into their own children’s lives.